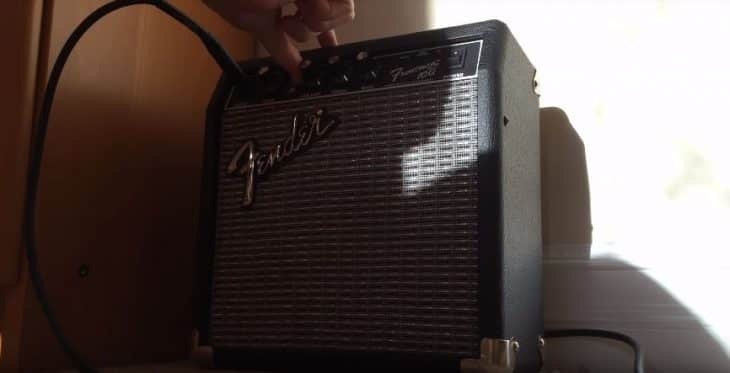 Best Beginner Guitar Amp Review: 5 Top-Rated in April 2019! 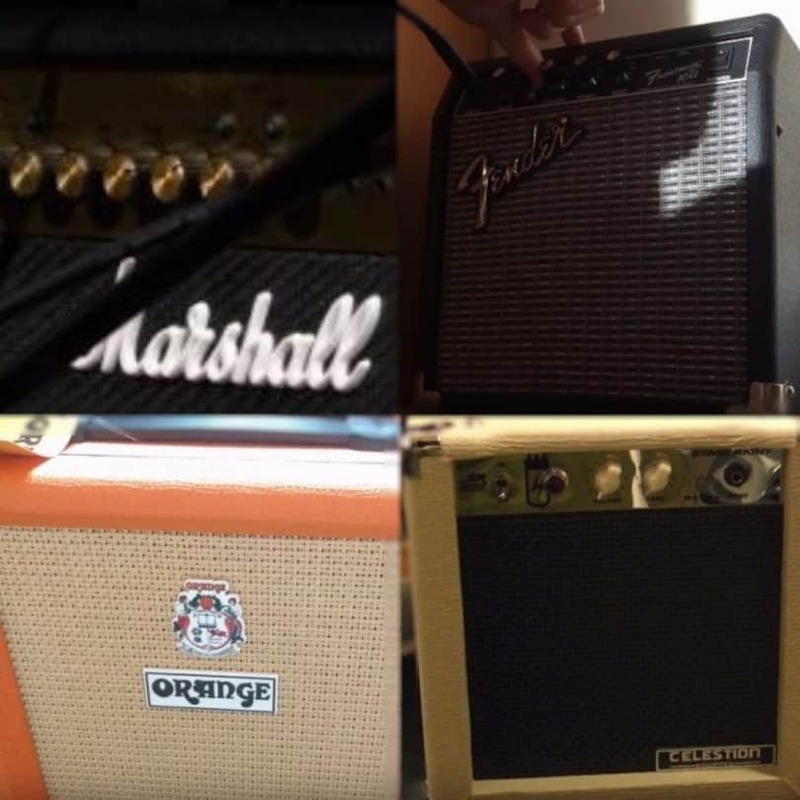 Which Beginner Guitar Amplifiers Are The Best? Just like every other musical instrument, guitar amplifiers come in different types and each type is best suited for different purposes. As a beginner, there are specific guitar amplifiers that would be better suited for you. These amplifiers have been specifically designed for convenience and ease of use are equipped with controls that a novice can easily find his way around. Another advantage of getting beginner amplifiers is that it is cheaper than the other types which makes logical sense as you are just starting to get the hang of using it. 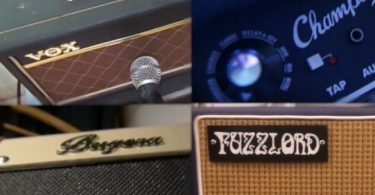 To help you navigate your way with guitar amplifiers here are some of the best options to choose from as a beginner. This Custom 10-inch speaker is a perfect purchase for a beginner. While it is designed with the simplicity meant to ease things up for the beginner, it also delivers a range of enjoyable modern tones and classic vibes. 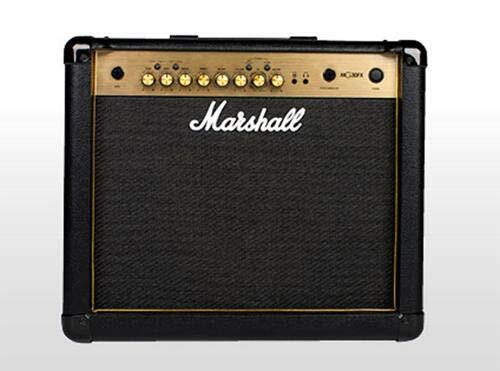 In addition to the trademark attractive gold finish, this amp also comes with all the essential features needed for perfect play for pros and beginners alike. The MG30’s emulated headphone output makes direct recording and silent practice very easy. The Mp3 line it is fitted with also makes it possible for the user to play along to an external output. You can also find a suiting tone thanks to its clean channels which can also be stored and easily recalled without stress. With this amplifier, you can save as much as four channels (Clean, Crunch, OD1, OD2), get special effects like built-in reverb, phaser, flanger, delay and chorus effects. It is also fitted with control that can be easily navigated through by beginners so like the 3-band EQ, gain, volume, master, FX select, reverb level. Can double as a party speaker and a play along speaker. 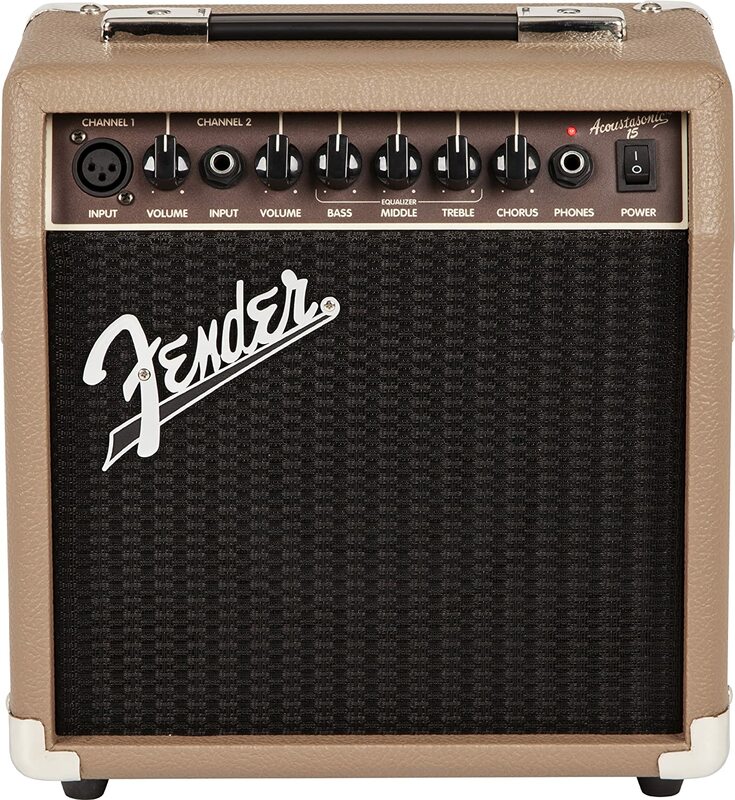 The Fender Frontman Electric Guitar Amp is suited for the beginner; every detail is well thought out for an easy to understand and use experience, at the same time you get highly explosive and top quality sound. Its intuitive controls make it quite easy for a beginner to easily get the hang of it. The Gains control it possesses lets you know how hard you are driving the amplifier with your guitar. With this control, you can easily rock guitar tones from the tube-emulated overdrive to full-strength ultra-saturated distortion. 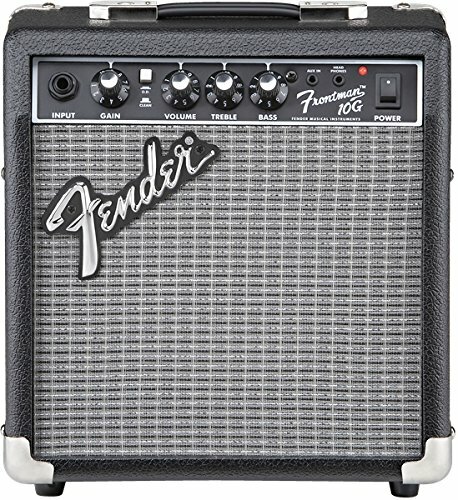 This amplifier is perfect for blues, metal and the famous Fender clean tone. The volume control also gives you control over the loudness of the amplifier while the treble and bass controls allow you to shape the quality of sound produced by the guitar. This 10W amplifier is the smallest from Fender yet delivers all the basics of a top quality amplifier in such a compact design. It possesses the classic vintage Blackface aesthetic design of amplifiers with the silver grille cloth, skirted amplifier knobs and the bold Fender amplifier logo it sports. This amplifier delivers top quality tones and offers flexible easy to use control and very straightforward operation. With a 6″ speaker and built-in overdrive, this amplifier allows you to seamlessly switch from manual to pre-set channel modes without any stress. 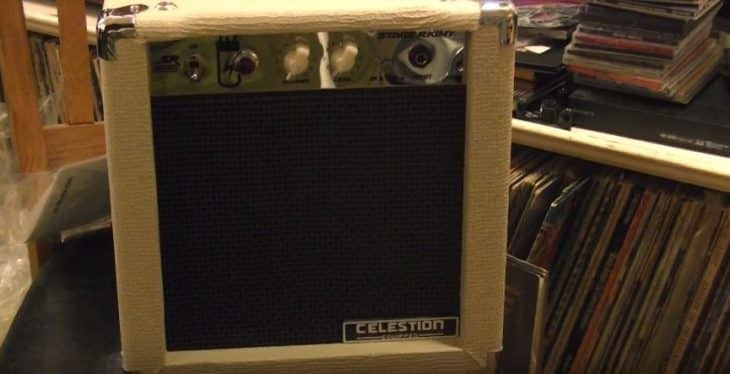 This amp is perfect for playing a variety of tones. It features a 1/8″ input which makes it possible to play along to an external source and a 1/8″ headphone output that allows you to practice all you want without disturbing others. The amplifier is portable which makes it easy to be moved from place to place. It has excellent sound output. It has a closed-back design for heavier bass response. It only possesses a single channel input. What kind of power supply does this use? Can I plug into the wall or does it take batteries? It uses AC power which means you can plug it into the wall. With the Fender Acoustasonic Guitar Amplifier, you get portable but efficient amplification for your acoustic guitars and microphone. This amplifier works perfectly for a variety of simple applications including stage musical performances, private practice at home and can even be used as an onstage monitor when it is combined with a PA system. It is a simple and flexible solution at an incredibly low budget which makes it perfect for someone just learning the ropes. It comes in a vintage-style brown textured vinyl covering which gives it a unique look. This 40-watt amplifier is explicitly designed to perform optimally with acoustic guitars but also features another channel which makes it possible to use with a microphone as well. This amplifier comes with two 6.5 inch speakers and high-frequency “Whizzer” cones which serves to make the sound input clearer. It also has a built-in chorus effect which also makes it possible to add depth and shimmer for a richer output. The dual front panel inputs are placed in such a way that enables convenient use. The amplifier is portable and functional. The functions are limited functionalities but for an amplifier of that price range, it is understandable. The Orange Crush PiX CR12L is an affordable yet functional electric guitar amplifier that can be used for practicinqg and would suit both the needs of a beginner and an expert perfectly. 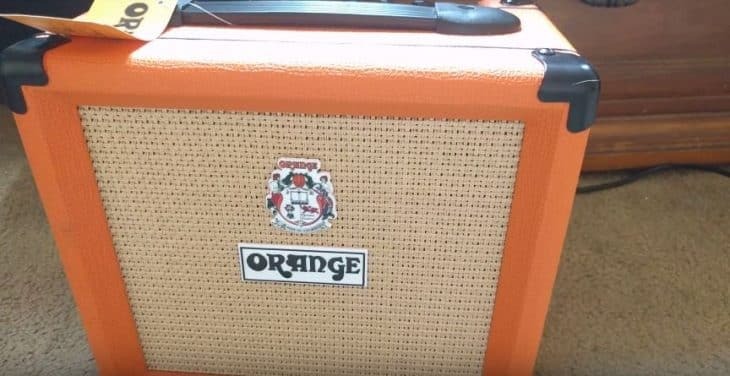 It carries the trademark orange logo like the basket weave Tolex with a woven speaker grille, beading and legendary hieroglyphs (PiX) and the Orange signature ‘picture frame’ edging.This portable amp comes with a 6” speaker that can still deliver sound quality similar to that of high-quality full-sized stacks. This is perhaps the loudest 12 watt amp you will find out there. Despite its diminutive size, you can expect pretty much the same performance you would get from a full-sized orange amplifier. In addition to the usual knobs for controlling the gains and volume, you also get a 3-Band EQ as well as overdrive controls. It also features a CabSim-loaded headphone output port which allows you to attain huge tones even with quiet playing levels. It is portable enough to be travelled with without having to exceed your luggage limit. There is no option for connecting it to a cabinet. This guitar combo tube amplifier from Monoprice is perhaps the loudest sounding speaker of its size range that you can find on the market. This 8-inch speaker delivers crisp and detailed sound with balanced highs and mids complemented by a rich bottom end. In addition to impressive sound delivery, this speaker also features a stylish design which further improves its functionality and overall aesthetic appeal and will make you fall in love with playing on it. It has a cream colored leather exterior, an open back design with chrome corner guards and a leather handle for easy mobility. This tube amplifier tube amp features a 5-watt tube amplifier. 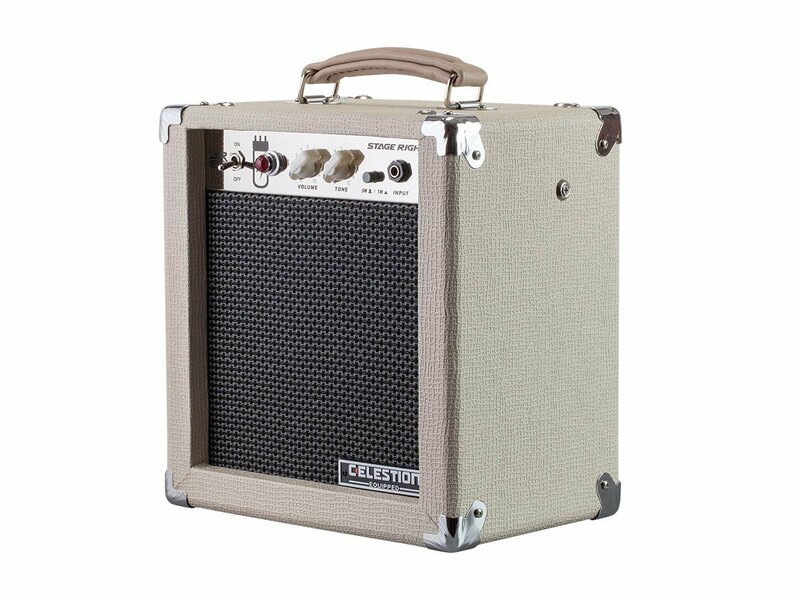 It also comes with a Celestron brand speaker and an ECC83/12AX7 pre-amplification all of which works to deliver the top quality sound even in the hands of a novice. Minimalistic controls perfect for the learner. well balanced highs and mids help to complement a rich bottom end. Some part of the covering might begin to come to lose after a while and may have to be re-glued. There you have it, some of the best guitar amplifiers specially designed for the ease and convenience that will make the learning experience more enjoyable for the beginner. You can of course, explore other options as you start to gain proficiency playing the instrument but these simple beginner amplifiers should be good enough to tide you over till then. Bass Amps Under 300 – Buyer’s Guide! How To Pick The Best Budget Tube Amp? Each Of These Stereo Amps Is A Good Choice! Which Lunchbox Amp Among Dozens On The Market Should you Pick? Were you Looking for THE guitar amps under 150? 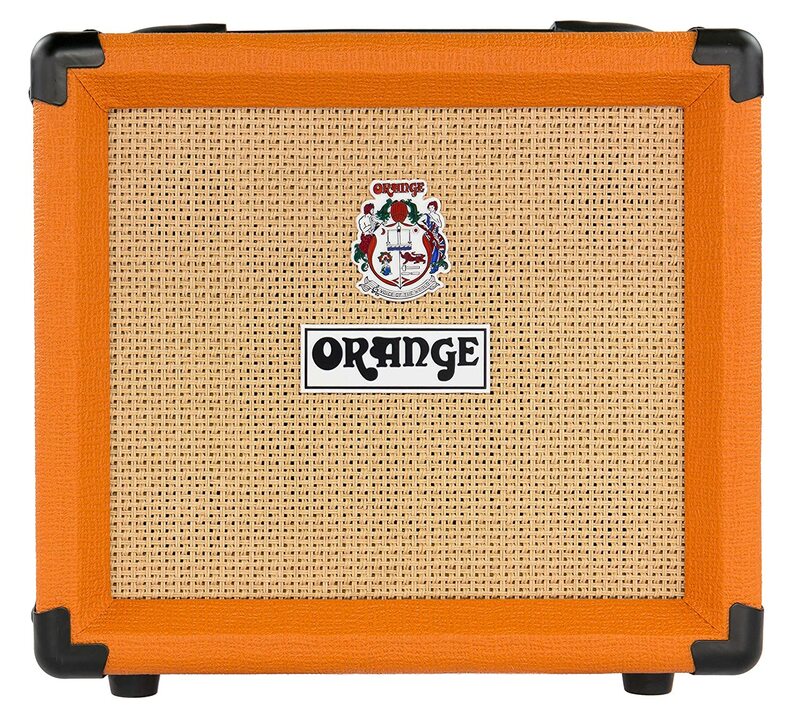 Orange Amps – Buyer’s Guide! Integrated Amplifiers – Buyer’s Guide! Integrated amps under 2000 – Buyer’s Guide! Which 1000 Watt Amplifiers Are The Best? What is The Best Motorcycle Amp On The Market? 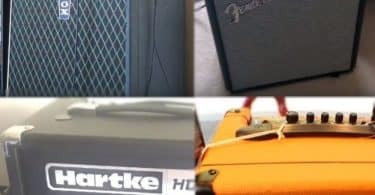 How To Pick The Best Electric Guitar Amp? Tube amp heads – Buyer’s Guide!